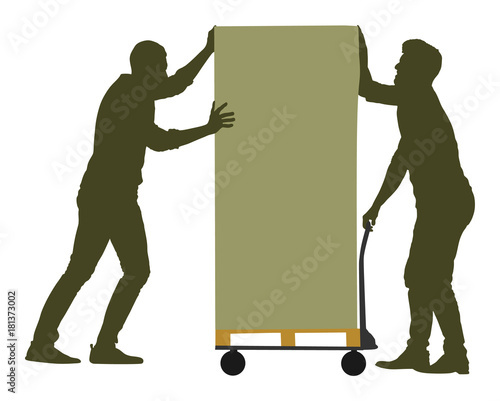 Hard workers pushing wheelbarrow and carry big box vector silhouette illustration isolated on white background. Delivery man moving package by cart. Service moving transport. Warehouse job activity.